MMDA: Number coding for provincial buses lifted on March 23, 2016 (Holy Wednesday) - Balita Boss! 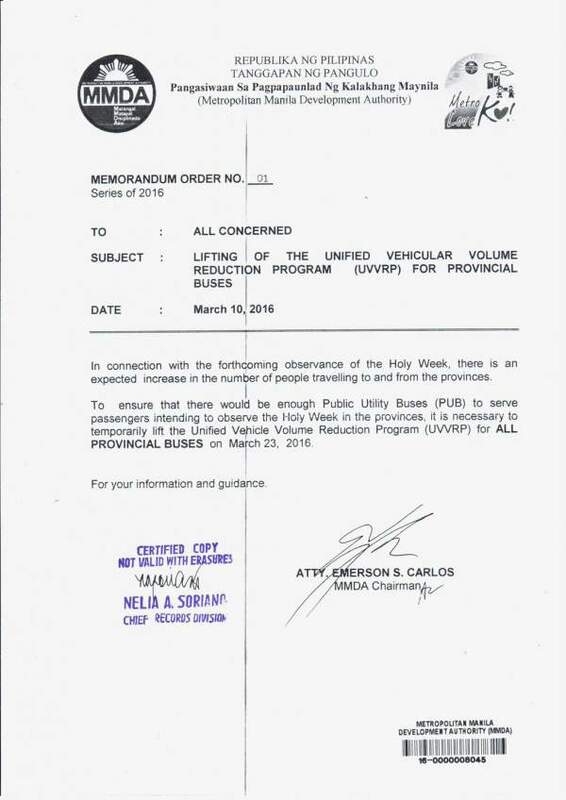 The Metropolitan Manila Development Authority (MMDA) has lifted the number coding for provincial buses on Holy Wednesday, March 23, 2016. Ready below the advisory posted by MMDA on their official Twitter account.